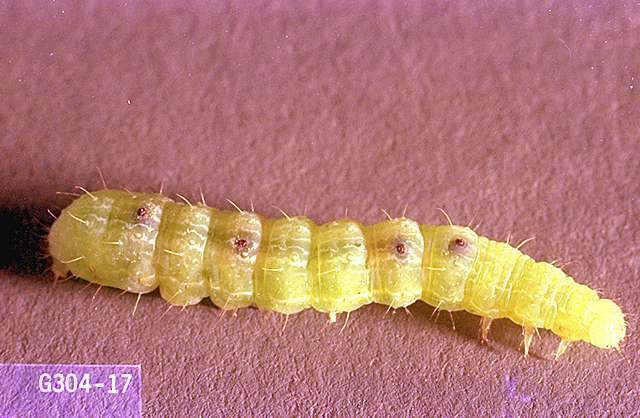 Pest description and crop damage Larvae of both looper species appear as green caterpillars with white longitudinal stripes, three pair of true legs in front, and three pair of pro-legs behind. They move in a looping fashion, like an inchworm. Loopers chew holes and ragged edges in potato leaves. Potatoes can tolerate some looper defoliation without loss in marketable yield. 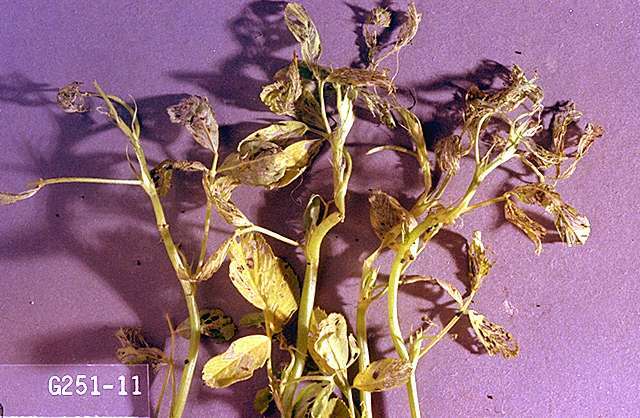 The period of full bloom is the most sensitive plant growth stage, but even then defoliation on the order of 10% appears to cause little if any yield loss. 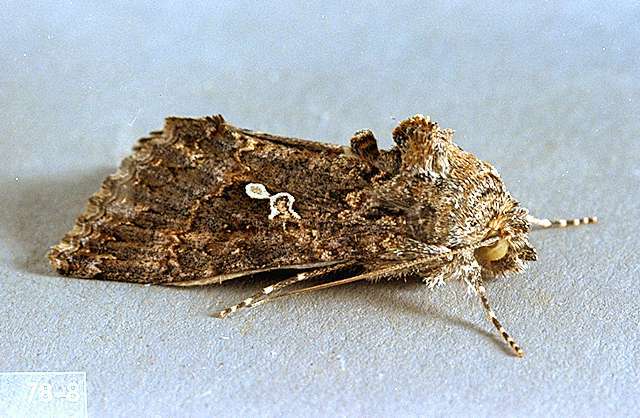 Biology and life history Recent research has shown that cabbage looper is the only looper to develop well and regularly feed on potatoes in Oregon and Washington. It also has a tremendously fast developmental rate on potatoes, making it a pest with greater damage potential than other caterpillars. 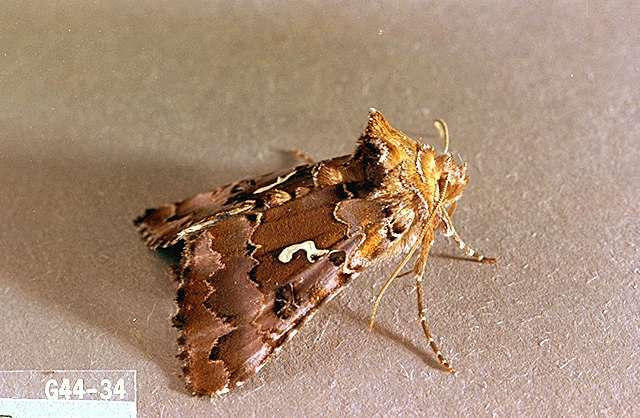 This moth has several overlapping generations each year, with moths found from May through September. Scouting and thresholds Unlike cutworms and armyworms, loopers remain on the foliage all day long and are found easily during normal scouting operations using a beating sheet/tray. 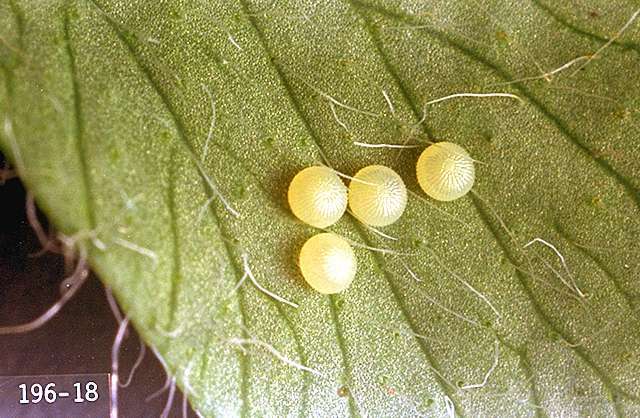 Nonetheless, the most obvious evidence of a looper infestation will be the feeding damage on the leaves and frass left behind. 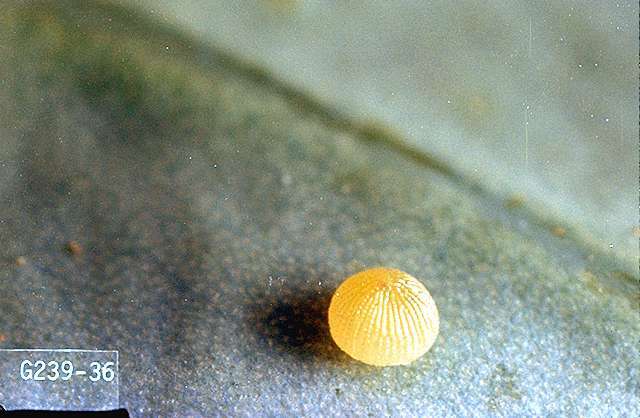 It is critical to confirm the presence of loopers on the foliage before treating - often the larvae are fully developed and either pupated or transformed to adult before damage is noticed. 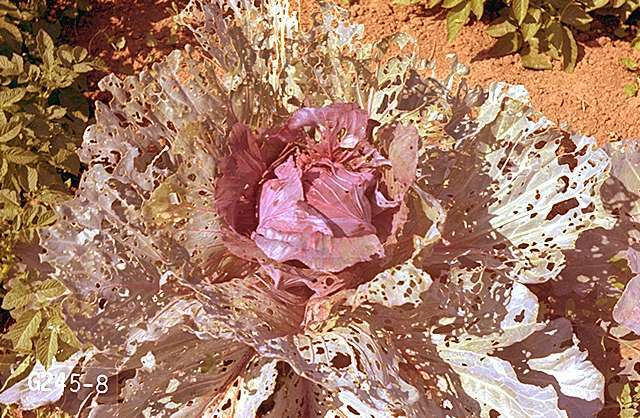 Cabbage looper populations can be severely impacted by various predators, parasitoids, and pathogens. For example, the disease caused by the Trichoplusia ni, nuclear polyhedrosis virus, can spread rapidly in a population under certain conditions. Loopers dying from this disease often become limp, dark and blotchy, hanging in the foliage by their prolegs, and then burst, dripping virus-laden fluids onto the foliage which infects other loopers. 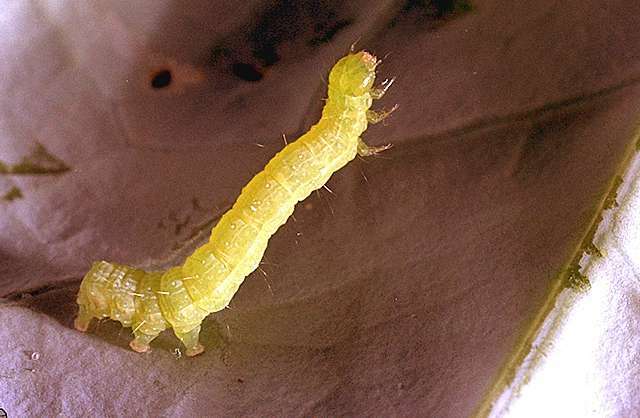 Loopers are easier to control with insecticides when they are small.